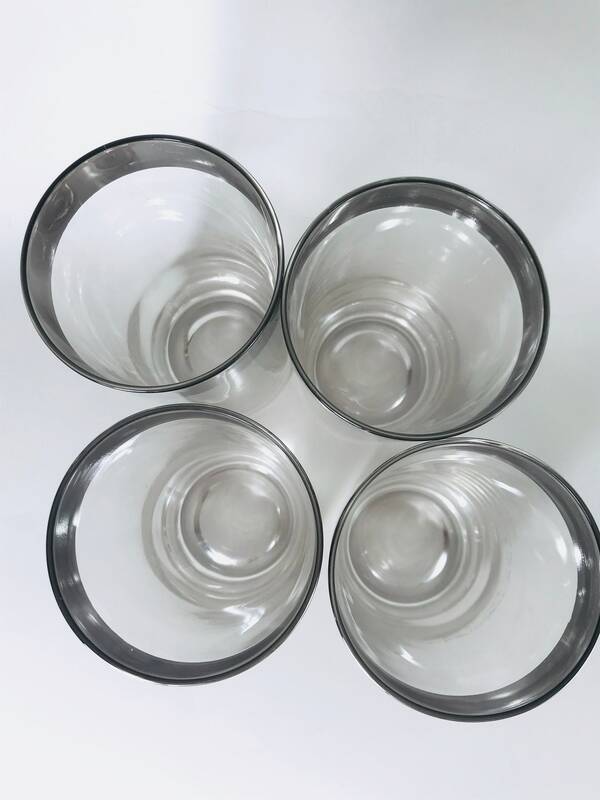 This is a beautiful set of four retro 1960s silver rimmed glasses! 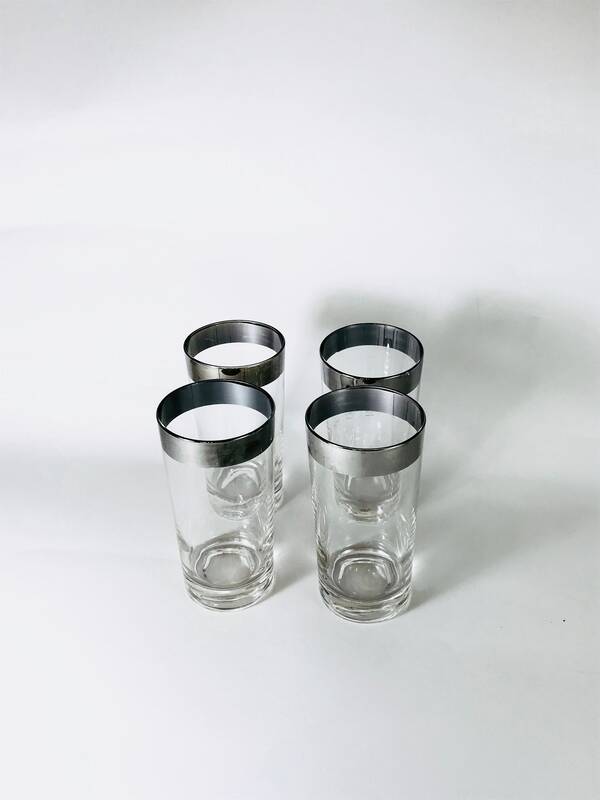 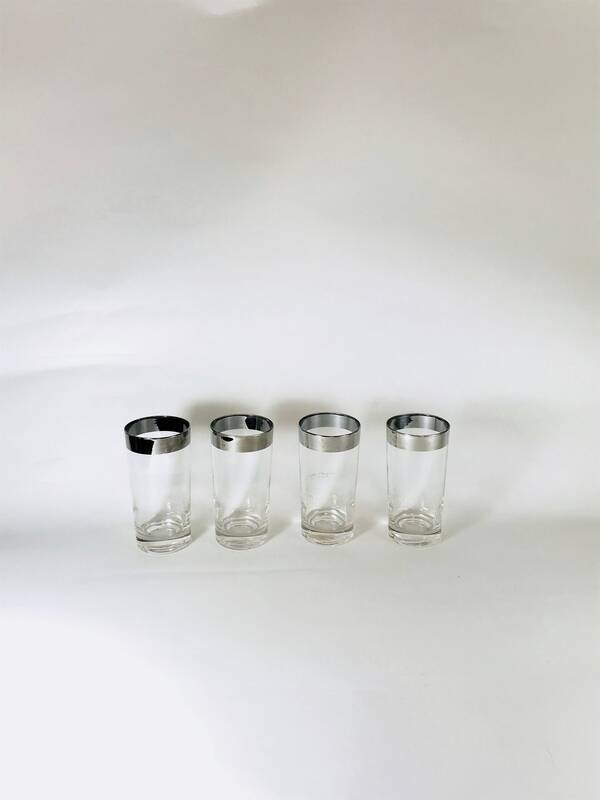 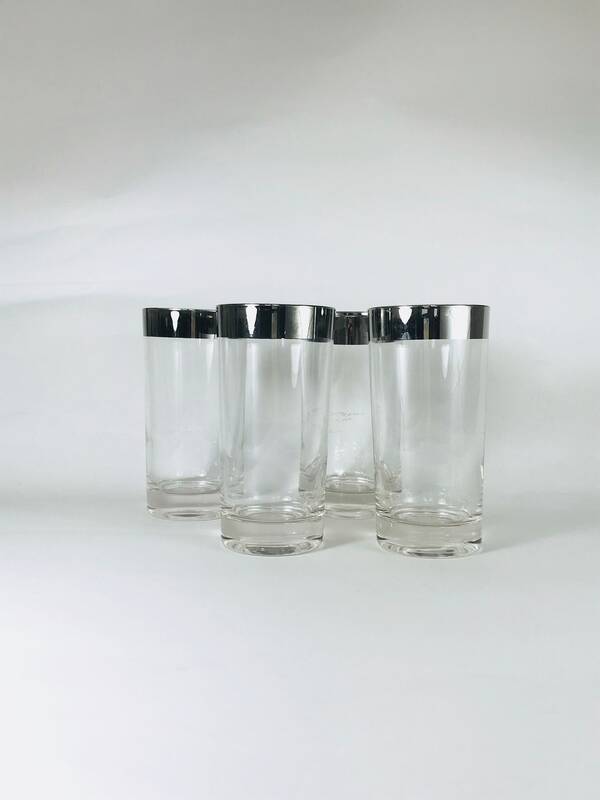 This Set of four vintage highball glasses are classic Dorothy Thorpe late 50s, early 60s barware! 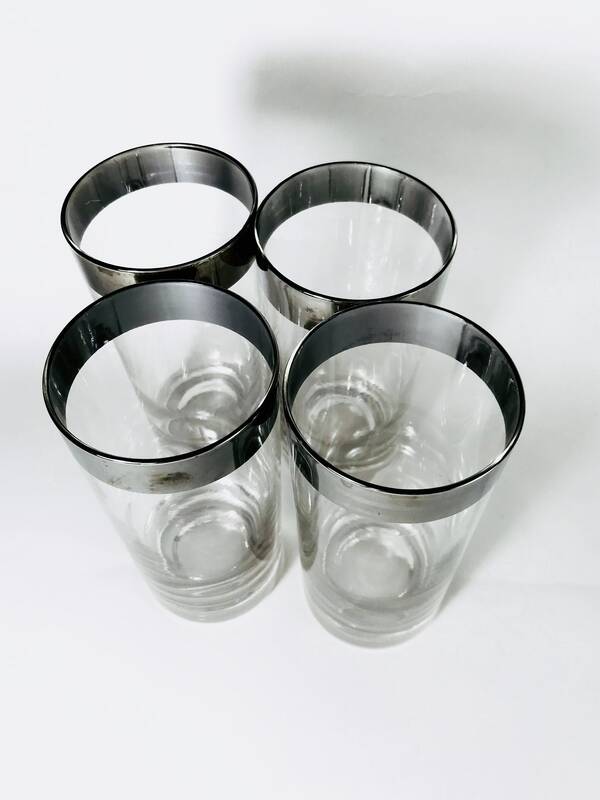 This mid-century modern set of collins glasses are so Don Draper from MAD MEN! 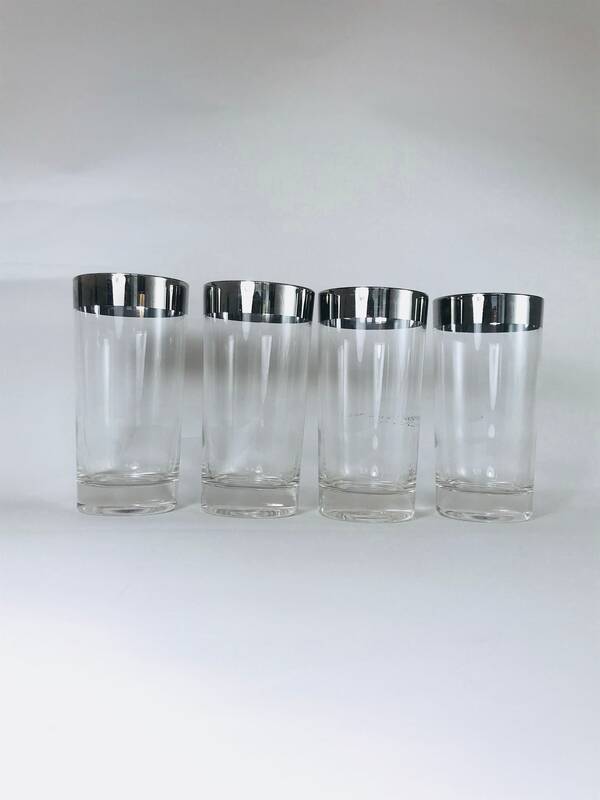 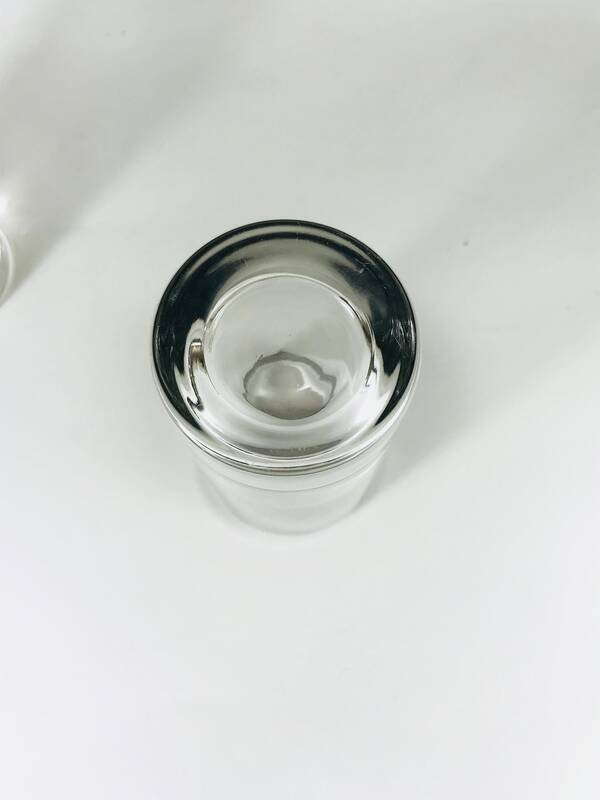 These tall retro tumblers have actual metallic silver rims. 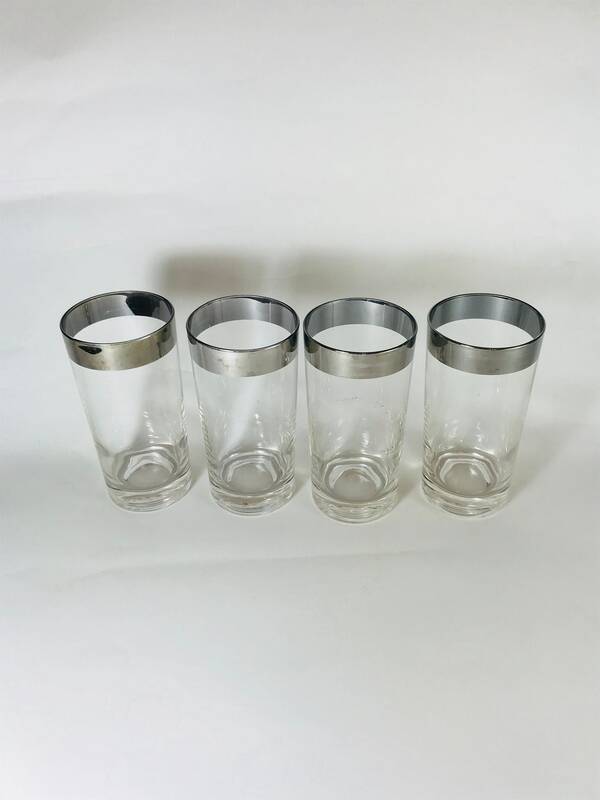 Perfect gift the man in your life! 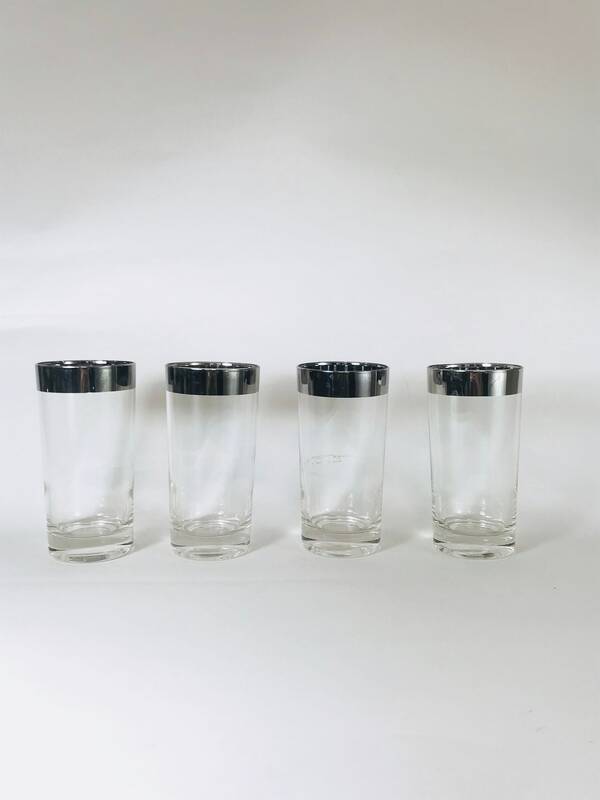 Measurements: tall: 5 5/8" x wide: 2 5/8"
CONDITION: Very Good! 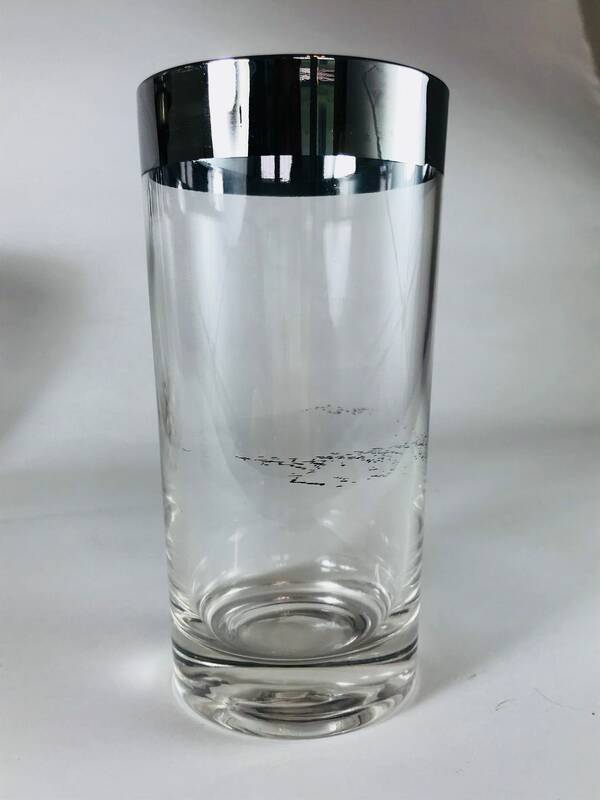 There is some scratching to the silver, and there is some silver stuck to the inside of one glass from stacking.